November 2017 Archives - Clarksville Sports Network - Clarksville Tennessee's most trusted source for sports, including Austin Peay State University. Knoxville, TN – No. 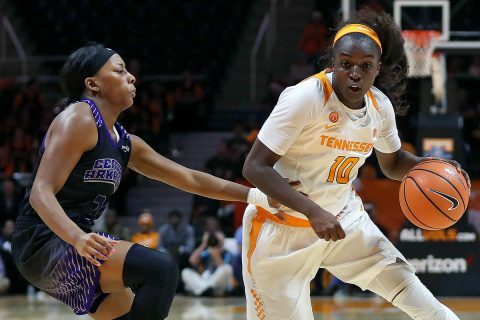 12/13 Tennessee made history on defense when it held Central Arkansas scoreless in the fourth quarter and to 10 total second-half points in a 77-34 victory on Thursday night in Thompson-Boling Arena. The Sugar Bears (3-2) came into the game averaging 78.8 points per game on .504 shooting from the field, but the Lady Vols’ best defensive effort since the season-opening ETSU game limited Central Arkansas to only 23.7 percent shooting from the field. The zero points scored by UCA in the final stanza of the game was the first time UT (7-0) has ever held an opponent scoreless in a quarter. The 10 points allowed in the second half also stood as a program best. Birmingham, AL – The Tennessee football team will start the 2018 season in Charlotte against West Virginia at Bank of America Stadium on September 1st and wrap up the regular season at Vanderbilt on November 24th, as the SEC announced the 2018 schedules for all 14 conference schools on Tuesday. The Vols face the Mountaineers for the first time in school history and will begin the year in a neutral site game at an NFL stadium for the second straight year after defeating Georgia Tech 42-41 in double-overtime to start the 2017 season. 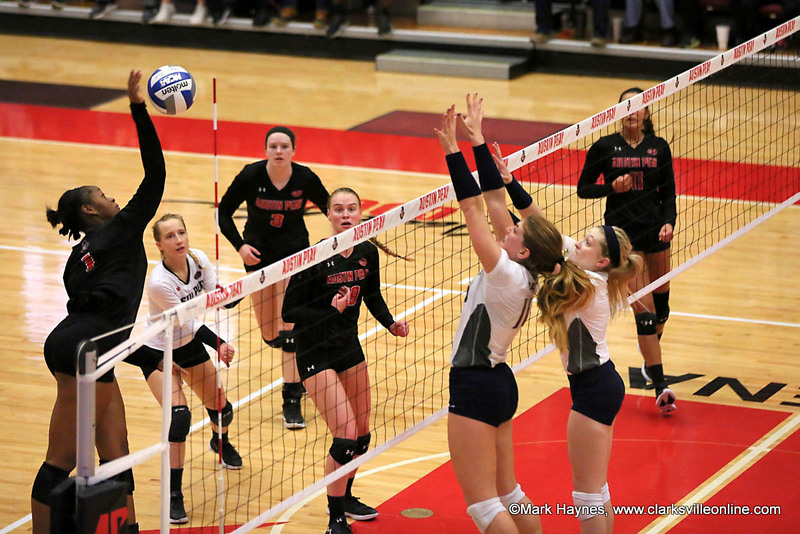 Los Angeles, CA – The postseason continues for Austin Peay State University’s volleyball team with its first-ever trip to the state of California for a 10:00pm (CT) contest against No. 15 seed UCLA in the opening round of the 2017 NCAA Division I Volleyball Championship at Pauley Pavilion. Austin Peay Women’s Volleyball take on UCLA Friday, December 2nd in the opening round of the 2017 NCAA Division I Volleyball Championship at Pauley Pavilion. Nashville, TN – The Tennessee Titans (7-4) return home this week to face the AFC South rival Houston Texans (4-7). Kickoff at Nissan Stadium (capacity 69,143) is scheduled for noon CST on Sunday, December 3rd, 2017. The Titans hope for a split in the twice-a-year series. In the first matchup, played October 1st at NRG Stadium, the Texans won 57-14. 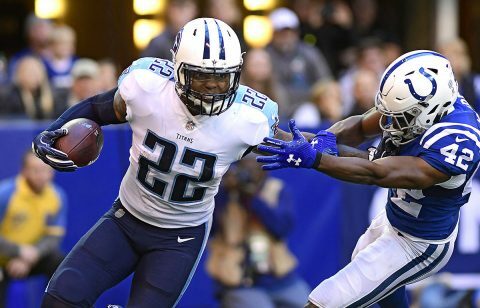 The Titans own a narrow 16-15 advantage in the all-time series. 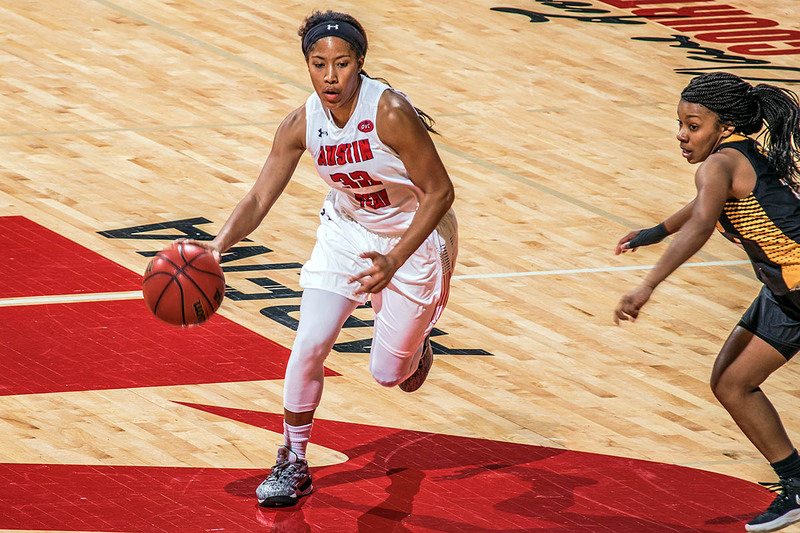 Clarksville, TN – With five players in double figures, Austin Peay State University women’s basketball team topped Arkansas-Pine Bluff 97-61 in their Dunn Center return. 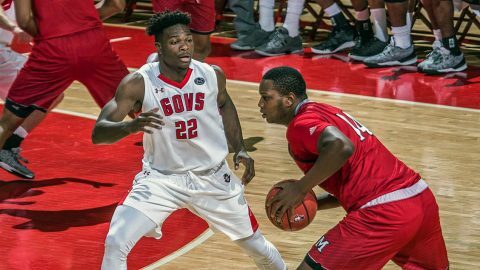 The comeback Govs needed no second-half resurgence Wednesday night, as they pulled away from Arkansas-Pine Bluff grabbing a 15-point lead in the first quarter that they would never surrender. 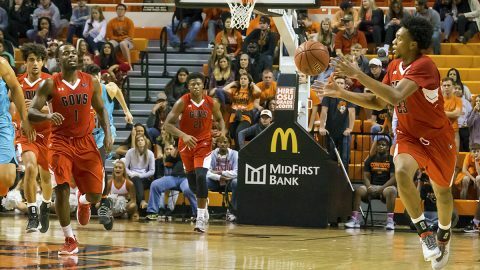 Stillwater, OK – Austin Peay State University men’s basketball team weathered an impressive start by Oklahoma State before mounting a second-half comeback that brought the Governors to within eight points late in the second half before ultimately 79-63 at Gallagher-Iba Arena, Wednesday. 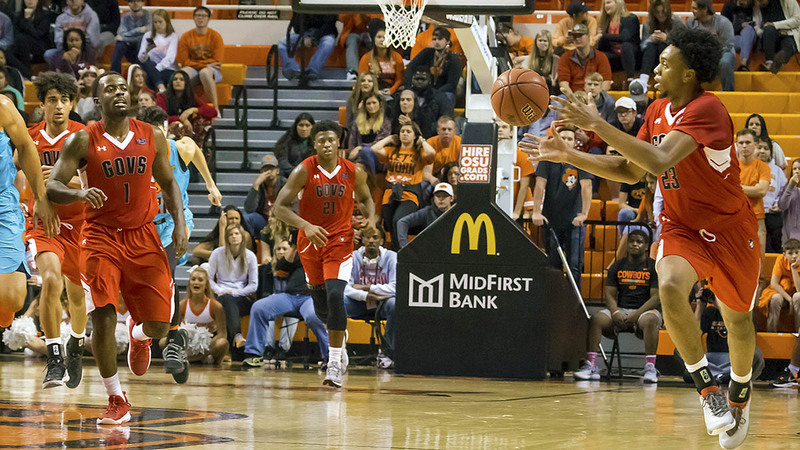 Oklahoma State (6-1) came out hot from beyond the arc, hitting nine first-half threes, including five in the first eight minutes. Knoxville, TN – Grant Williams scored 21 points and James Daniel III dished out 10 assists to lead Tennessee to an 84-60 victory over Mercer on Wednesday night at Thompson-Boling Arena. 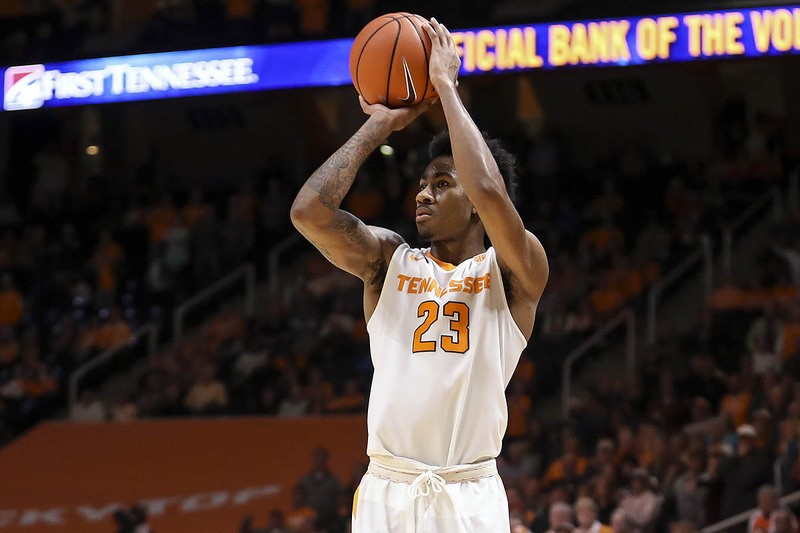 In their first game since returning from the Battle 4 Atlantis tournament, the Vols (5-1) used a strong defensive effort to force 20 turnovers and hold the Bears (5-3) to a season-low in points. The first half was highlighted by a balanced attack for Tennessee, as seven players recorded at least a point. Knoxville, TN – No. 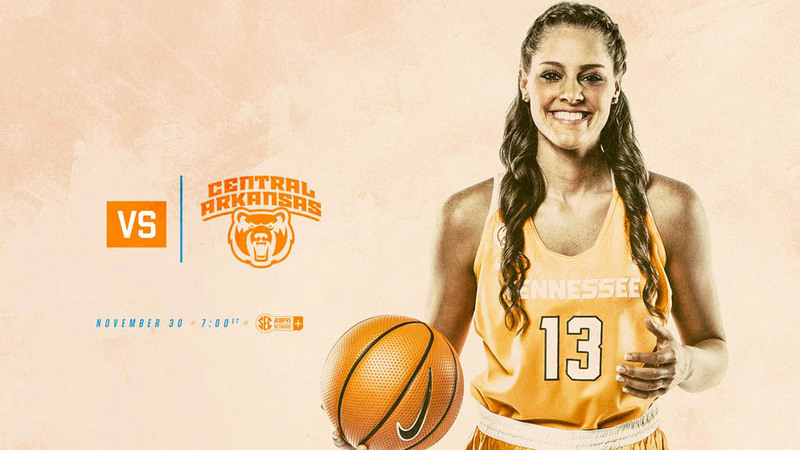 12/13 Tennessee (6-0) meets Central Arkansas (3-1) at 6:00pm CT on Thursday at Thompson-Boling Arena. 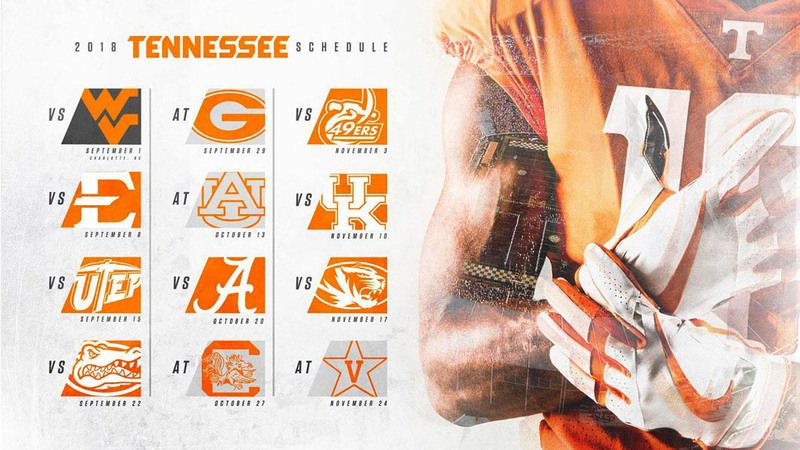 The UT-UCA game is the fourth of seven home tilts in UT’s first 10 scheduled contests. It also is the first of a four-game home stand. 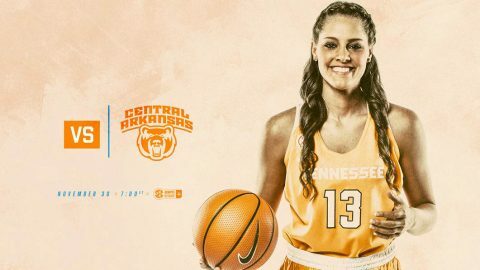 The Lady Vols remain undefeated after winning all three games at the Cancun Challenge in Mexico last Thursday through Saturday at the Hard Rock Hotel Riviera Maya in Puerto Aventuras. UT beat a talented No. 20/20 Marquette squad, 101-99, in overtime on Thursday night; held off a previously-unbeaten Oklahoma State squad, 79-69, on Friday evening and closed with a 69-49 victory over a solid South Dakota club on Saturday. 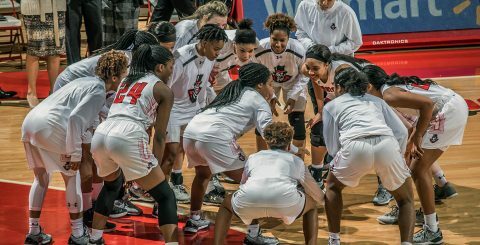 Clarksville, TN – Austin Peay State University women’s basketball team returns to action 7:00pm, Wednesday, November 29th against Arkansas-Pine Bluff at the Dunn Center. 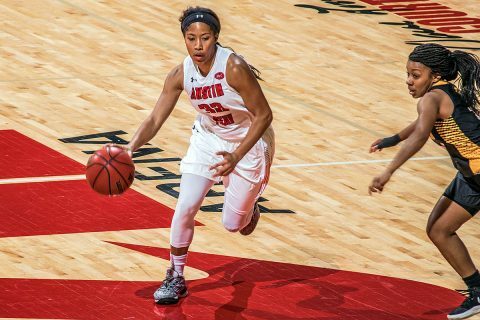 The Govs bring their four-game winning streak home, following a two-game road stretch that saw the Govs demonstrate their grit and determination with two comeback wins against Alabama A&M, November 21st and Lipscomb, Sunday. Clarksville, TN – Another battle against a high-major foe awaits Austin Peay State University men’s basketball in Stillwater, Oklahoma as the Govs get set to battle Oklahoma State, 7:00pm, Wednesday, November 29th at historic Gallagher-Iba Arena. It’s the continuation of a stout schedule for first-year head coach Matt Figger and his charges.